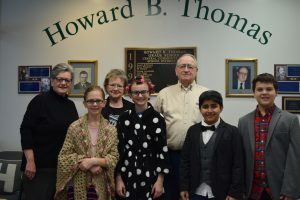 On Wednesday we celebrated the gentleman who generously donated the land for our school, Howard B. Thomas. Mr. Thomas would have turned 100 years old on January 20. 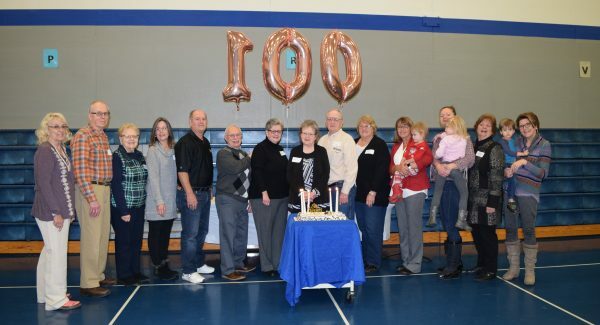 We invited his children, grandchildren and great-grandchildren to a 100 day celebration. We had balloons, cake and even dressed like we were 100 years old! 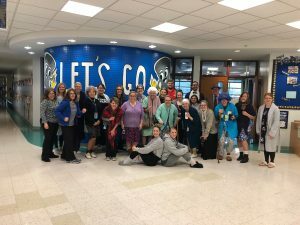 5th grade Student Council representatives gave the Thomas family a tour of the school.